I first found yoga as I was in a transitional period of my life. During that time, yoga helped me feel more grounded, more in control of my life, and more peaceful. Yoga allowed me to get out of my head, get into my body, and become more present and aware with each breath I take. Being someone who has dealt with depression and anxiety, yoga offered a path out of the darkness. The path is different for everyone but I truly believe yoga can help any BODY. Although I teach many different styles of yoga, my passion lies in teaching Yin. I also enjoy teaching Vinyasa and Hatha, and making one-on-one connections in private lessons. My goal is to create a welcoming and exploratory environment in which you can center your mind, body, and focus. I want to help people find a calm inner being so that they can think clearer, breath easier, move more fluidly, and live better. Knowing how much yoga has helped me physically, mentally, and emotionally, it is truly my honor and pleasure to share it with you. Megan is an accomplished Pilates, Yoga, Barre, and Bootcamp instructor, and started her fitness career in 2010 teaching mat Pilates classes in Florida. Megan found that studio practice complimented her active lifestyle of running, surfing, and climbing. She became a certified barre instructor in 2012, and in 2014 earned her Registered Yoga Teacher (RYT) certification. With a passion for the outdoors, Megan enjoys trail runs, surfing, and rock climbing. Her classes and instruction provide a way for clients to feel empowered to build and maintain strength to live an active joyful life. 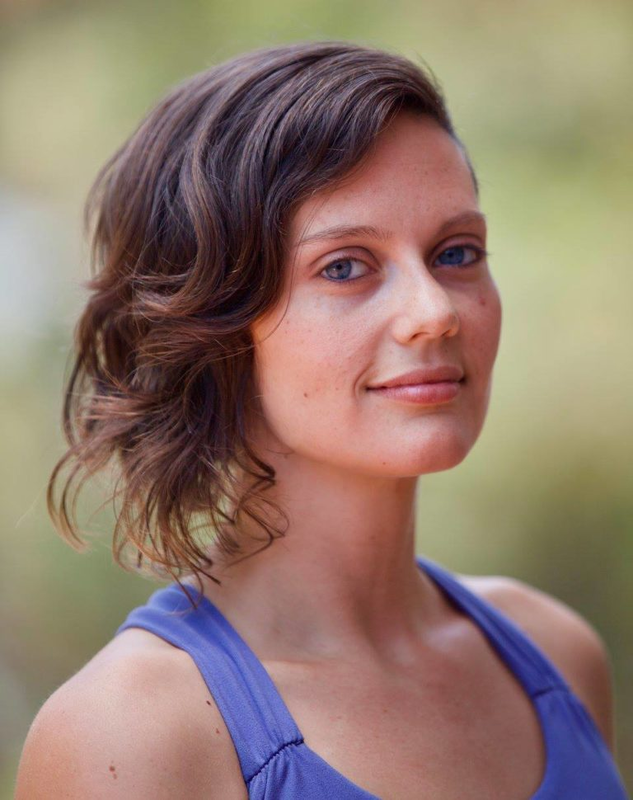 Megan currently teaches yoga and group fitness classes throughout North County San Diego, and also offers personal fitness sessions. My yoga journey, like most things in life, has ebbed and flowed over the years but I dove deep into the practice in 2010, going to Bikram and dedicating many hours to my mat. In 2015 I traveled to Bali, and experienced a series of life changing events, one of which was a rekindling of my love for yoga. The commitment to self love, the clarity in my decision making, the softening of not only my body but my heart was undeniable. In 2016, after another trip to Indonesia, I decided to dedicate my time and energy to a yoga teacher training. Teaching brings so much joy to my life and being of service to others is truly an honor. Melody was born in Paris, France and came to the USA through a tennis scholarship. Melody spent over a decade in the corporate world culminating in the position of managing director for a large international corporation. This highly competitive and stress inducing environment provided an excellent environment for her to utilize the meditation and breathwork lessons that she had learned on the yoga mat since early 2008. Others in her office started noticing a huge positive shift in her attitude and performance at work and soon she was giving guidance on how to be more present, creative and focused by utilizing simple lessons of meditation, movement and breathwork. After some time, Melody decided to make a shift, follow her passion and dedicate her trainings to make Mindfulness easier to practice in the corporate world.